When it comes to which party is responsible for paying child support in Texas, what matters is how physical custody of the child has been divided. While it is possible that a court would require one or both parents to pay toward support amounts, generally speaking, it is the parent that spends the least time with the child as an issue that will be responsible for such payments. The child support payment amount required in a given case will be determined by a set percentage of the non-custodial party’s income. It is possible and quite convenient to utilize the Texas child support guidelines to generate an estimate of the payment level likely to be mandated in a particular circumstance. Though parents can always voluntarily pay additional money on top of their legally required contribution, it is not possible for them to pay less, even if they reach a mutual agreement on their own. Court approval is in fact always going to be necessary for any child support payment arrangement or modification. Further, there are times when a guideline-based calculation would almost certainly produce a result that is unfair to either the child or the parent responsible for paying. When this happens, the court has the authority necessary to make adjustments in the interests of all of the parties involved. The process of making a child support calculation pursuant to the to aforementioned guidelines is easy, provided the non-custodial parent’s income is known. In order to figure net monthly income for a parent, it is necessary to look at all income in aggregate before making a series of specified deductions. In relation to child support obligations, income encompasses salary, wages, tips, commission, bonuses, and overtime. In cases where a parent is unemployed, there is still likely some form of income such as unemployment insurance benefits, severance pay, pension, social security or the like. The category of income in this realm can also include alimony payments, prize winnings, gifts and more. Rental income from property owned by the parent is also included in this calculation. There are other types of assets that can be excluded from consideration. Business capital, for instance, would fall into this category. The total amount of such capital and also accounts receivable or principal return would not be used in a child support calculation. Parents can also exclude from income any payments for fostering a child, public assistance payments and certain types of retirement plan contribution amounts. 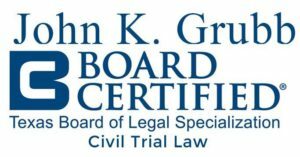 If your family is facing child custody problems contact John K. Grubb and Associates. Texas Family Code Section 154.062 provides an exhaustive list of what may properly be included and excluded from income. For one child, the obligor must pay 20 percent of net resources. For two children, the obligor pays 25 percent of net resources. For three children, the obligor pays 30 percent of net resources. For four children, the obligor pays 35 percent of net resources. For five children, the obligor pays 40 percent of net resources. For six or more children, the obligor pays an amount not less than that required for five children. Want to Help a Houston Animal Shelter, But Have No Room for Pets?